This Muskego deck was a re-deck using the existing framing. Re-decks are a great option when the existing deck framing is structurally sound and of course it cuts down on cost. The homeowners were not happy staining their cedar deck every year and now they have no worries with their new Azek deck. Decks with built-in benches are becoming a staple for our high-end decks. This deck bench works perfect with the recessed octagon. 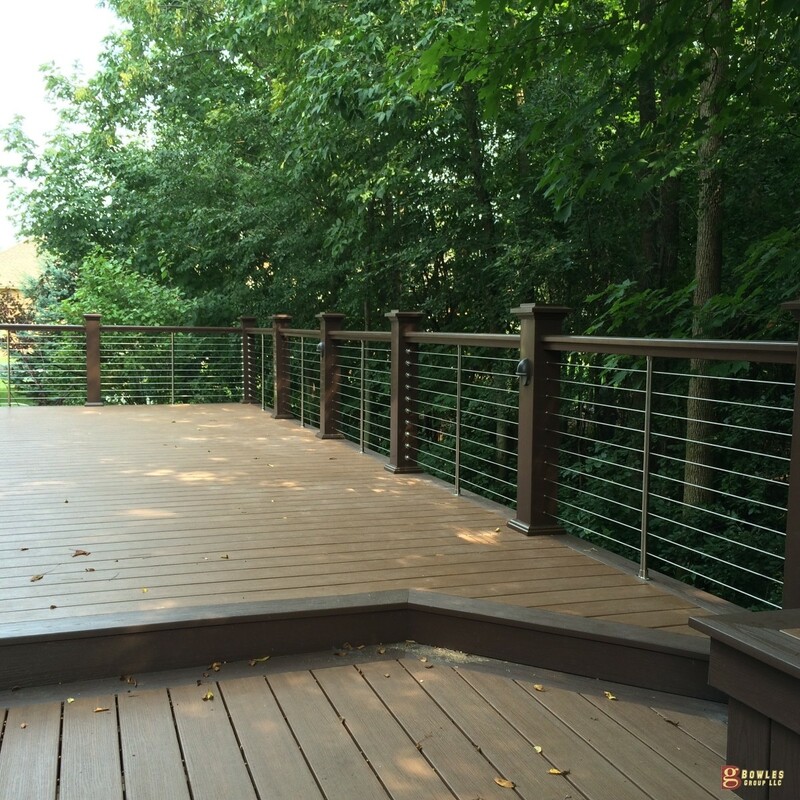 The stainless steel cables gives the deck a modern flare and also gives unobstructed views to this beautiful Muskego backyard. Contact us in Muskego, WI or the surrounding areas for your new deck. TBG Deck Builders offers free estimates in Muskego, WI and the Greater Milwaukee, WI Area.